View More In Coral Ornaments. 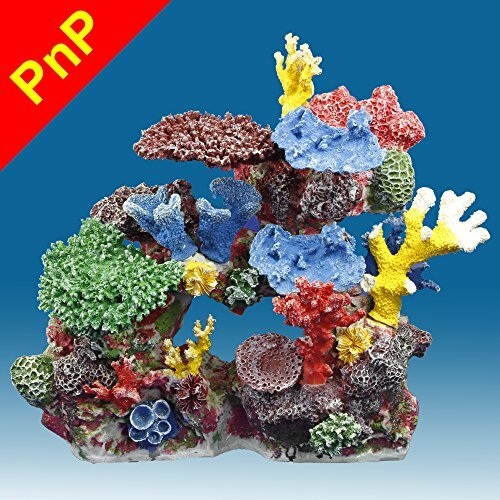 Realistic Looking Artificial Coral Reef Aquarium Decor for Saltwater Fish & Freshwater Fish Tanks. Made of High Quality Resin, Colors are all the way through. Non-Toxic, Safe to fish, invertebrates. Many caves and hideouts for fish to swim through. No Special Reef Aquarium Equipment needed. **WARNING** To avoid Loss of Fish, Rinse thoroughly, DO NOT install more than one decor a day. If you have any questions about this product by Instant Reef, contact us by completing and submitting the form below. If you are looking for a specif part number, please include it with your message.